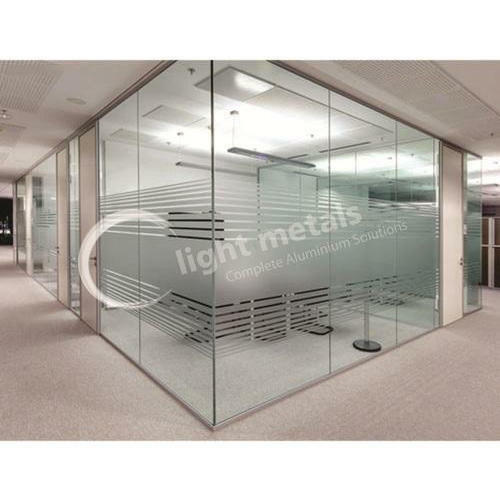 Glass Partitions are widely used for partitioning the entire room and in many cases as the permanent form work. The properties of glass provide maximum efficiency in the entire design and fabrication of glass decks, resulting in products with a high strength-to weight ratio. As a result, delivery, erection, and structural framing costs can be lower than with other systems. We are Manufacturing, Exporting and Trading an extensive array of T Slotted Aluminium Profiles And Extrusions, Aluminium Extrusions, T Slot Profiles, Modular Signages & Exhibition Tents.